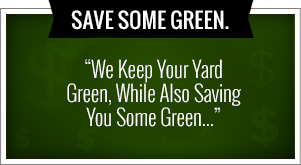 Year-Round Maintenance for Your Home and Lawn. Green Leaf is a company that is all about Tulsa holiday Lights. We can take care of the installation processes that you need to make your home look more amazing than ever before. When you give us a call at 918-640-6405, you will be able to meet Jamie Nix and Josh Mathias, the founders of Green Leaf and the experts behind the Tulsa Holiday Lights you’re looking for. We are specialists in our domain and when it comes to lawn services we look forward to taking care of all of your needs no matter what season of the year it is. Throughout the year we will promise to provide ultimate service for your home and lawn to make it look more incredible than ever before. We are completely devoted to the people of Tulsa and perfecting our craft on a daily basis. 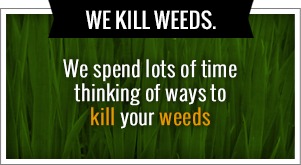 Give us a call today or visit us online at www.greenleafweedcontrol.com for more information. The only thing worse than having unsightly weeds sprout up throughout your lawn is the fact that you have to pull all of them individually. It seems like when you pull one weed you’re going to have two more grow back. This time of year it’s important to get your weeds under control with the right treatments. Green Leaf is able to help you decrease the output of weeds on your lawn by using tried-and-true methods and hard work for all of our Tulsa customers. We are a lawncare specialists firm that advises you that if your Tulsa lawn is comprised of 50% or more weeds, it’s probably time just to start over. For optimal weed prevention, contact the experts at Green Leaf today and we will take care of the sprouting of weeds in the spring and fall when they are at their weakest points. During spring all plants are geared and ready to go, even weeds. The roots are trying to pump as much oxygen into the leaves as possible, which is where you need to take them out, thus eliminating the energy supply and ensuring they don’t have a chance to spread their seeds around and infect a lawn any further than they already have.